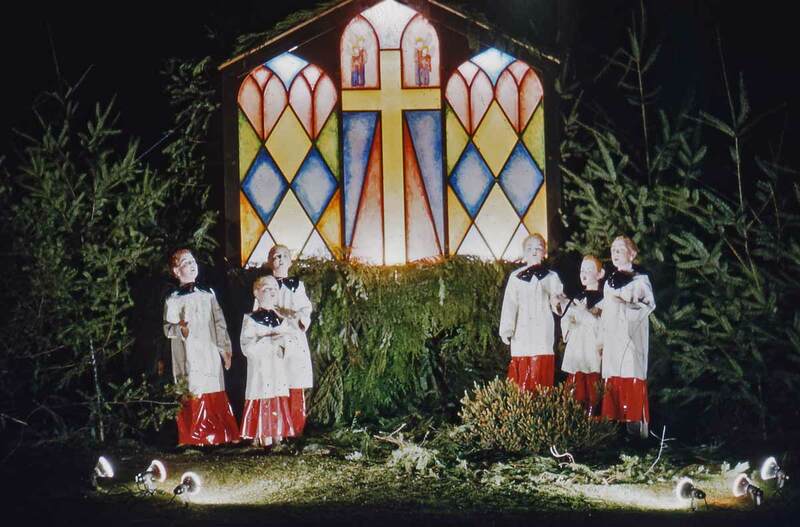 This small collection of seasonal kodachromes were photographed by Robert D. Bradley, who at least for part of his working life performed as a professional photographer. In the 1930 census he is listed as such, and in the 1938 Seattle City Directory (by Polk) he is listed living with his wife Hortense in the lower Queen Anne neighborhood and working at the Hart Studio, which is described as his. 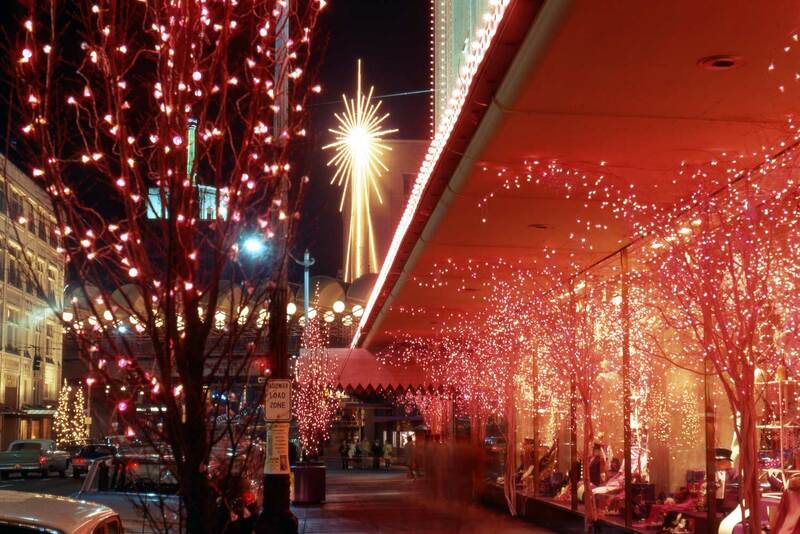 It was located on Second Avenue, near University Street, the site now of Benaroya Hall. In the mid 1960s the couple moved to the then nearly new Lamplighter Apartments on Belmont Avenue just south of Mercer Street. Their home was on the 9th floor with a balcony view that swept from the north end of Lake Union to the central business district. Bradlely took many slides off that balcony – lots of them sunsets. The view above is an exception. 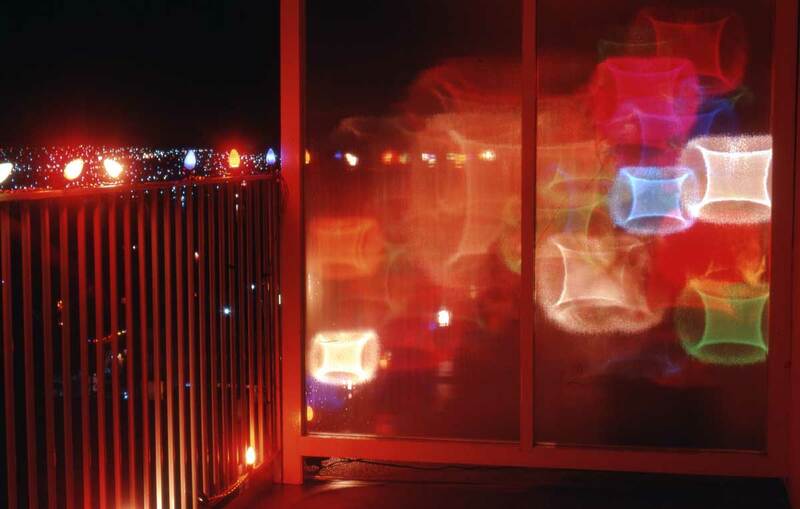 The subjects are the lights of his neighbor’s, the Millers, Christmas tree (we assume) as they are refracted through the glass giving transluscent privacy to the two balconies. Robert Bradley was generally good about naming and dating his subjects. 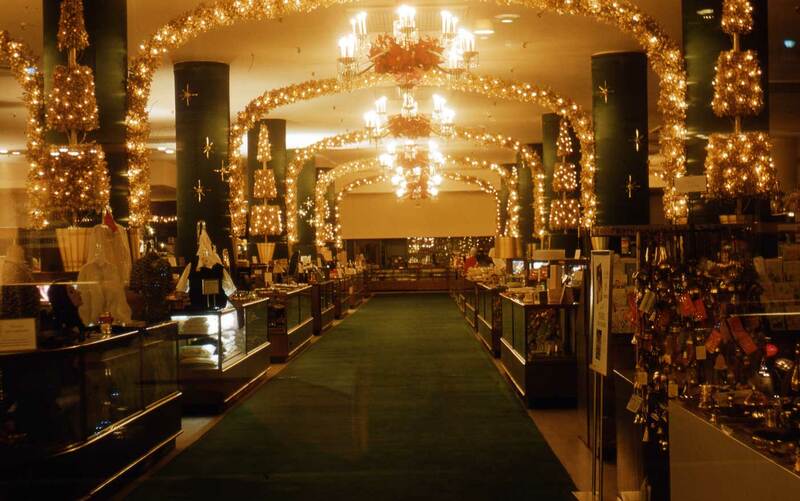 With both views above he has put his camera against the glass front door of Frederick Nelson Department Store to give us after hours “architectural views” (sans people) of the department store’s Christmas decors for 1957, top, and 1966, above. “Edge Clippings” – discovered that the Zenith model 12s265 – the radio that started his now impressive collection of antique radios – was repaired. It still has a Davison sticker attached.) 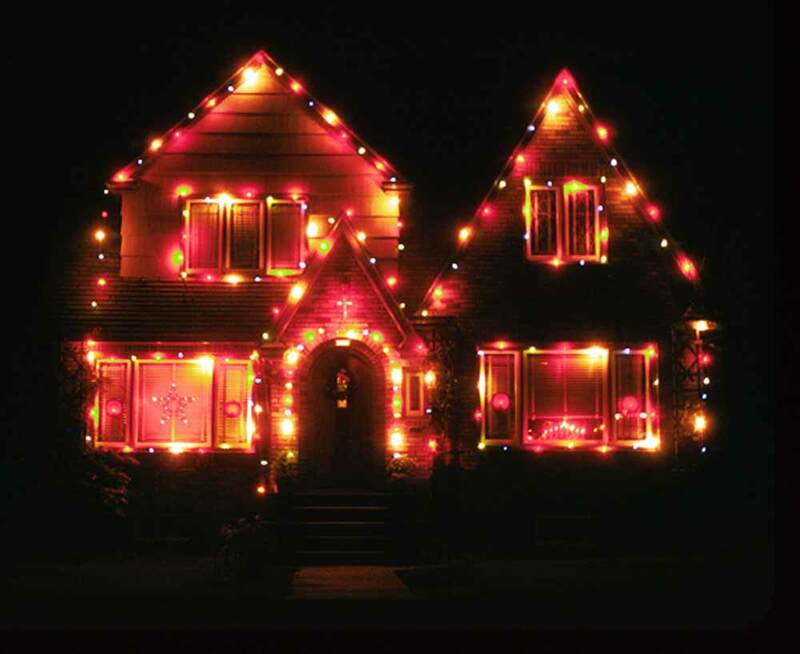 Not so obvious but still remarkable are the street Christmas decorations. 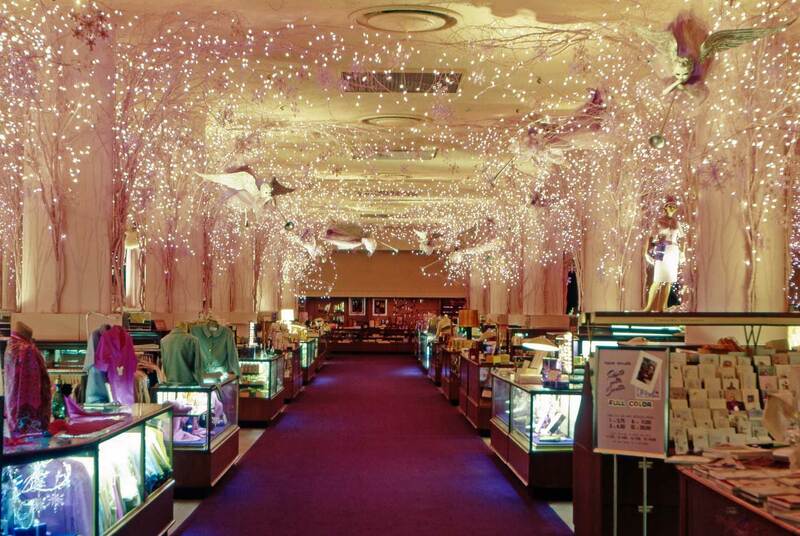 They were quite elaborate in the earlier view, but 61 years later hard to find. 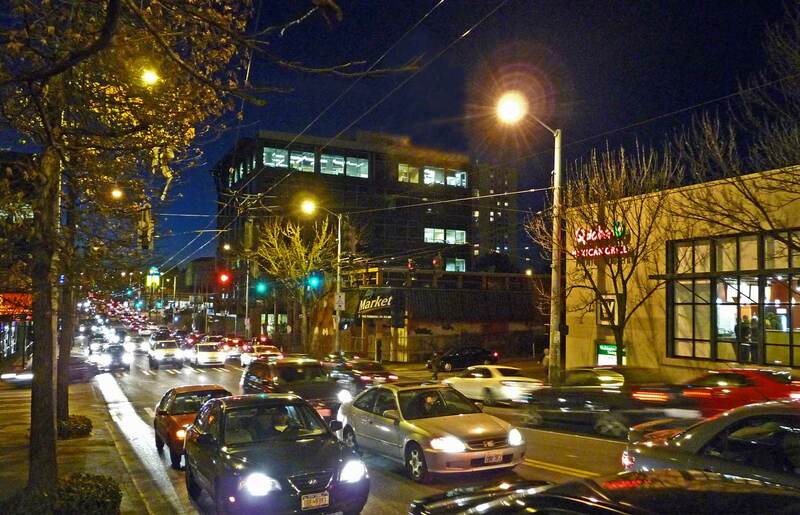 Bradley also visited the University District on the 22nd and took the view directly below. It looks west, again on 45th and this time through its intersection with 12th Avenue. 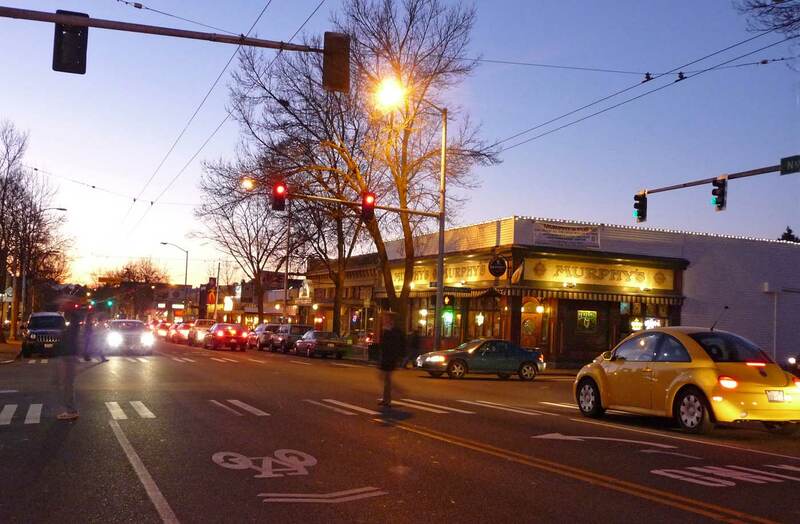 As with the Wallingford repeat above, my “now” was photographed this afternoon of 12/10/09 – moments ago. (I live nearby.) Respecting the traffic, I stayed on the sidewalk. For the remainder of the Bradley Christmas tour we will follow closely to his own captions and attach them to their “picture frames” as he did to his cardboard slide holders. Actually, he also indicated often the time of day, the camera he used, and both its shutter speed and F-stop. With one exception below we will avoid those. For the most part these are slides are submitted randomly, which means however the program that ordered them slip them to us. 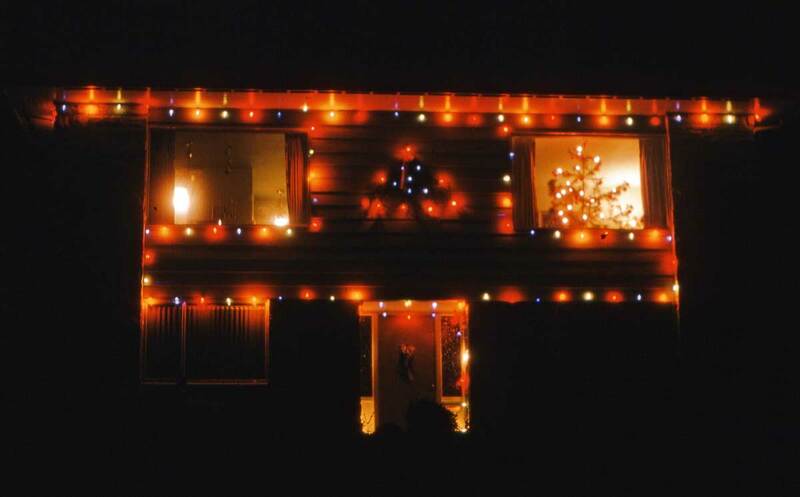 "Christmas in the Air" Bradley has captioned this. We don't know why, perhaps you do. The date is Dec. 3, 1961. The location is 27th Ave. NE. and N.E. 105th. Looking north on 4th Avenue across University Street. Part of the Olympia Hotel is on the right. 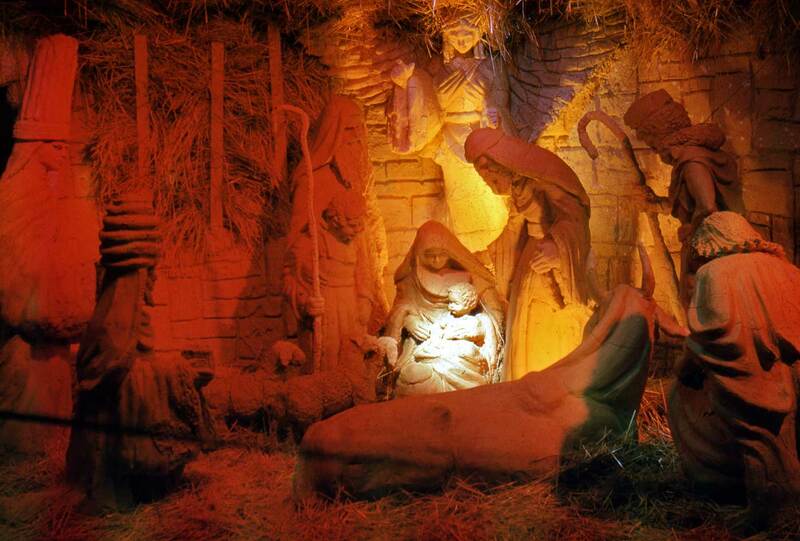 The date: 12/28/47. Again and nearby looking north on 4th, this time through its intersection with Seneca Street. The Olympic Hotel is, again, on the right. 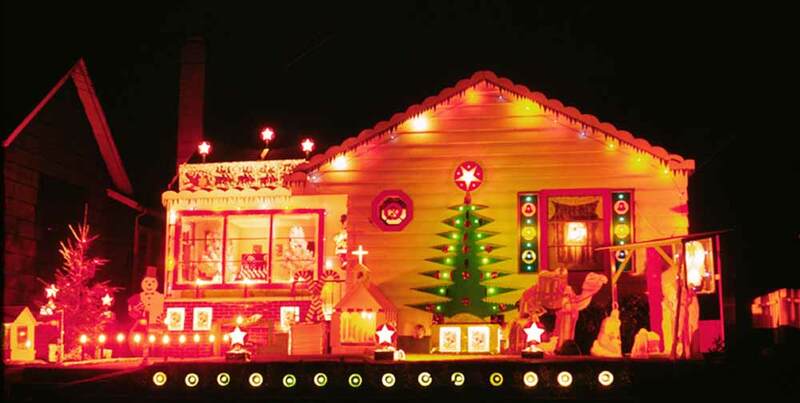 Bradley notes that this home won two years running in the competition for Christmas lights. 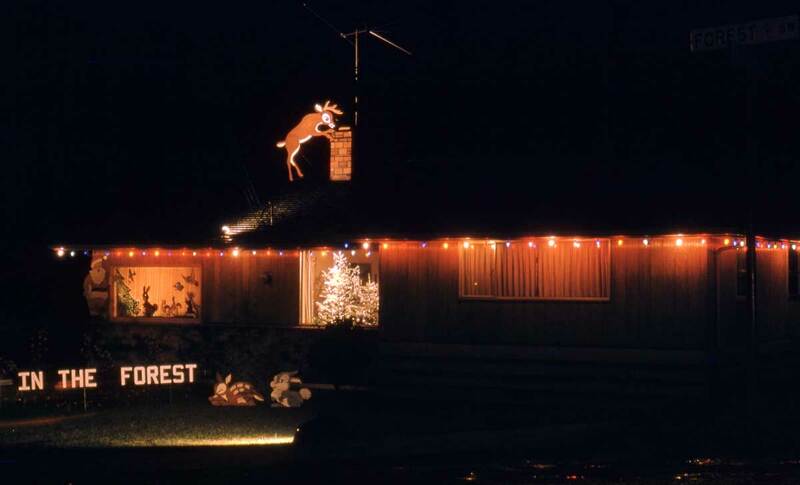 He gives the date, 12/30/61, the location, 336 12th West near Dravus, but not the name or sponsors of the contest. 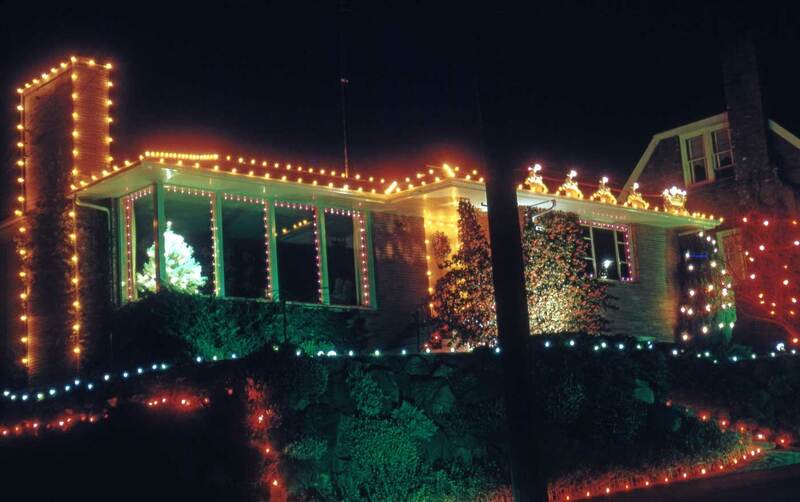 Another slant on the winning lights at 336 12th West 48 years ago. 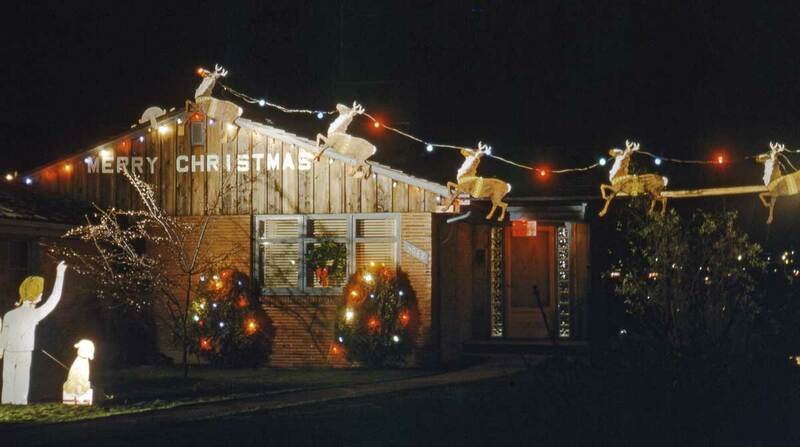 733 N. 70th in 1960 - December most likely. 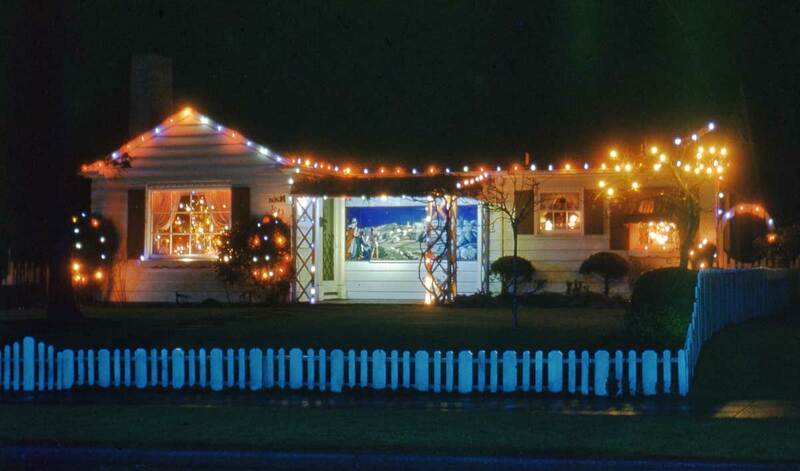 Somewhere in the Magnolia neighborhood, Dec. 1954. 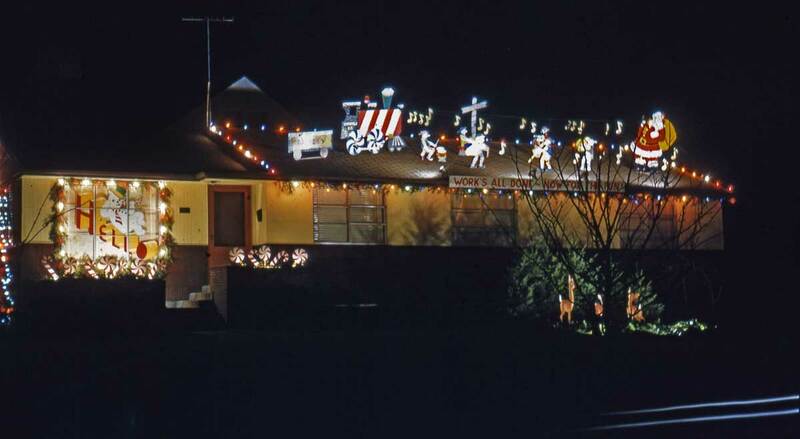 The festive Dunns lived at 4713 E. 47th in Laurelhurst, Dec. 1954. 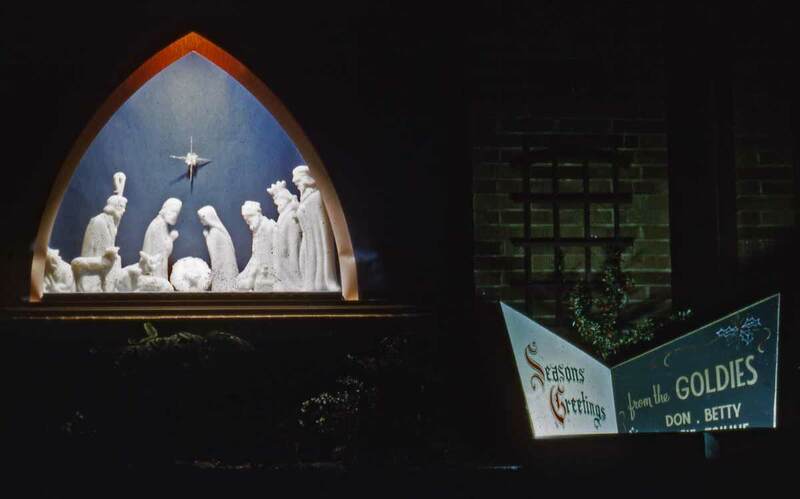 KING RADIO's Nativity scene at Aurora and Thomas in 1954. 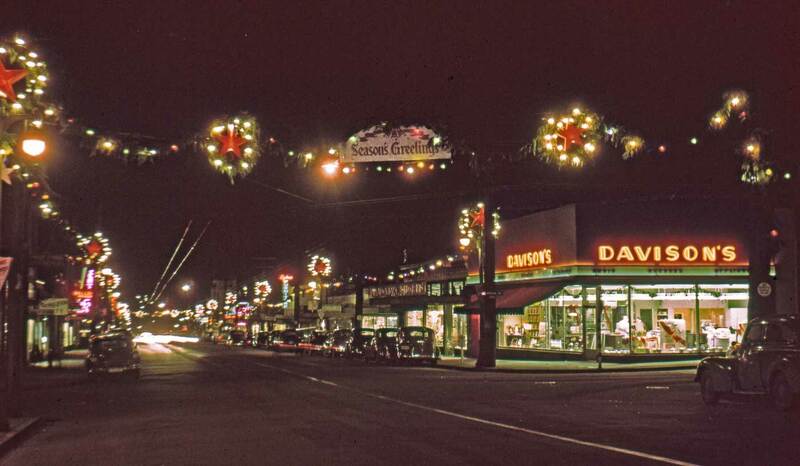 "Candlestick Lane" in Laurelhurst, Dec. 28, 1957. 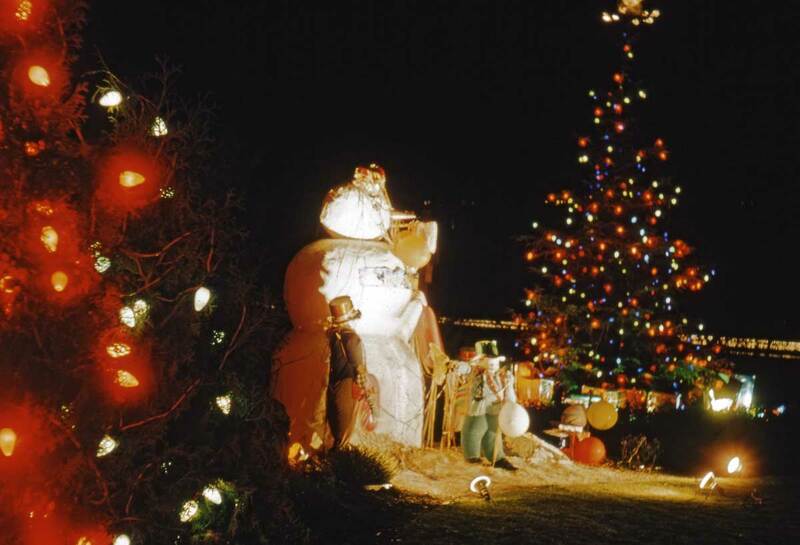 And "University Circle" once more in Dec. 1954, at or near the home of the gregarious Goldies. 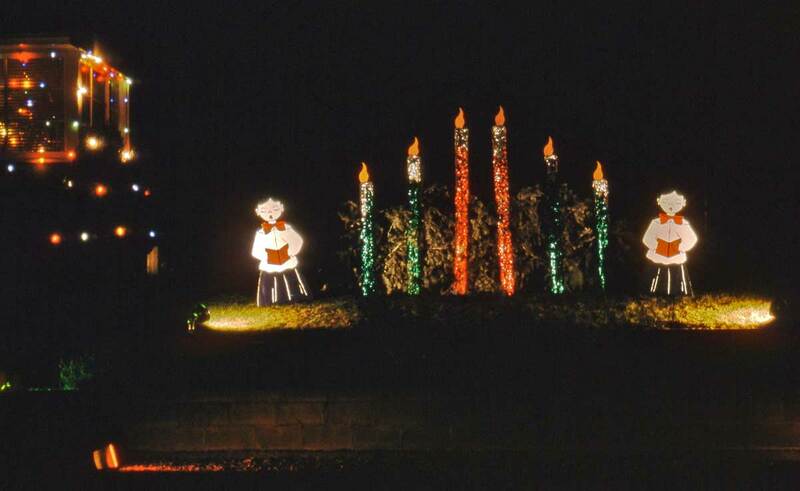 "Lights in the Forest" W. Roxbury District, Dec. 29, 1958. 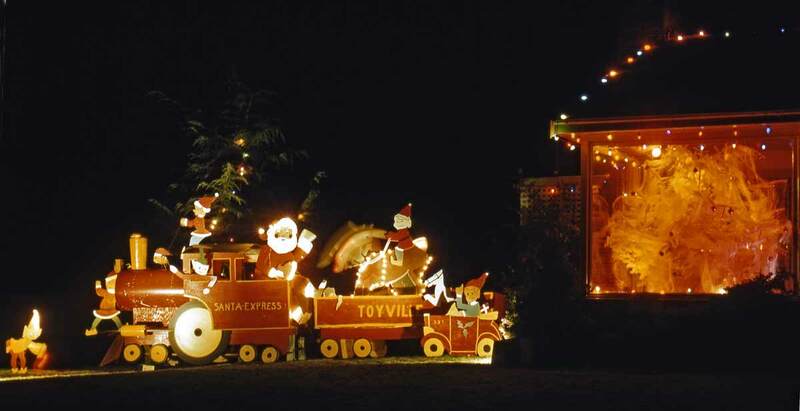 Santa Express, Mary Ave. N.W. 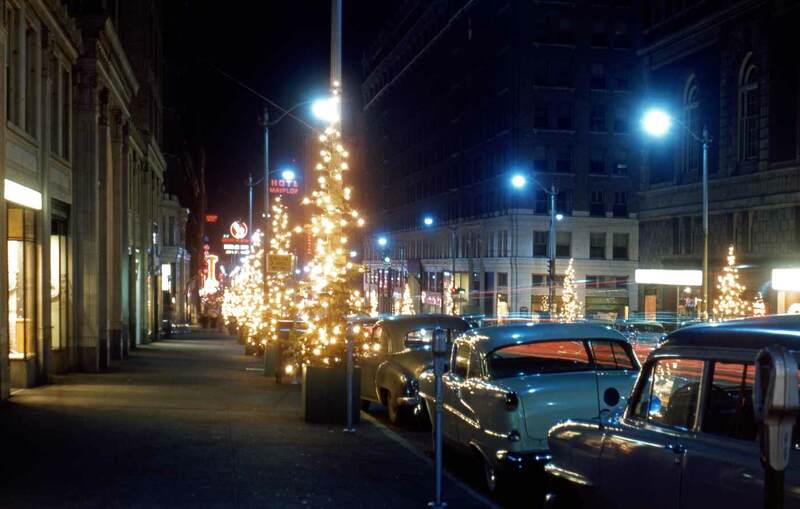 near Olympic Terrace, Dec. 29, 1961. Playful tax-supported Santa at Navy Pier 91, Dec. 25, 1964. 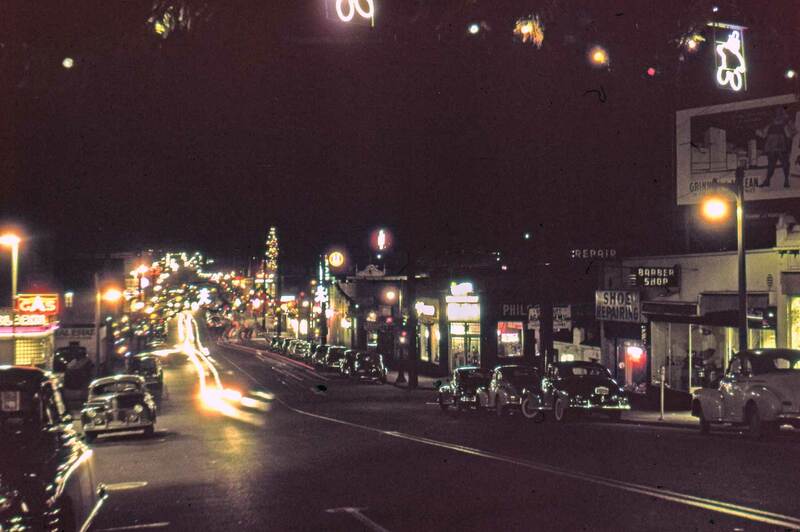 "Work's All Done - Now For the Fun" Magnolia District, Dec. 1954. "Magnolia District, Dec. 1954" - and that's it. Bradley gives no address. Do you know? "Dec. 1954" is the whole of Bradley's caption for this one. "Magnolia District, Dec. 28 - 1957" The shutter was open for 15 seconds and the F-stop opened to the efficient 8 setting - details written on the cardboard slide holder. 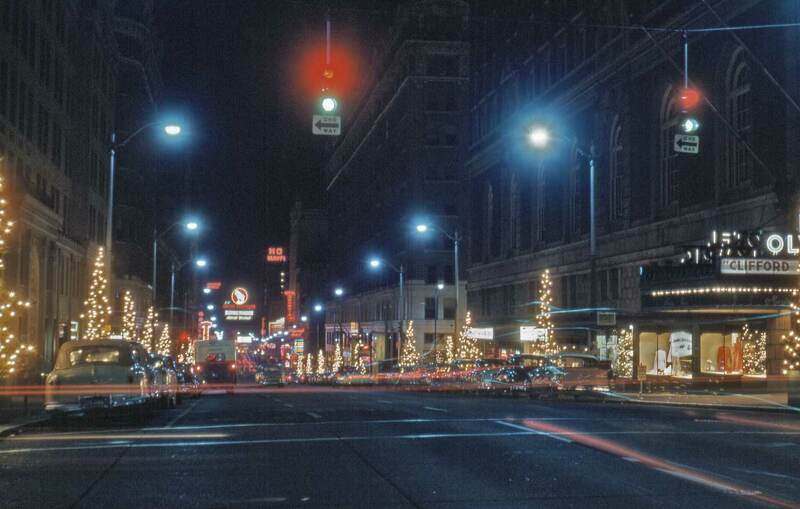 We conclude our exhibit of Robert Bradley’s seasonal slides with two, above, of the Bon Marche’s well-loved stories-high illuminated hanging at the northwest corner of 4th Avenue and Pine Street. 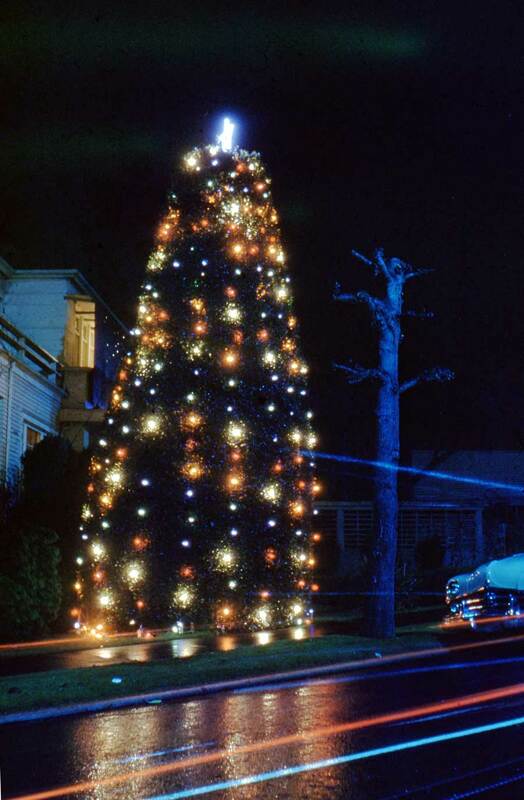 The first of these two was taken on Dec. 19, 1956 when the “star tradition” was still a star-topped pagoda-style Christmas Tree tradition. 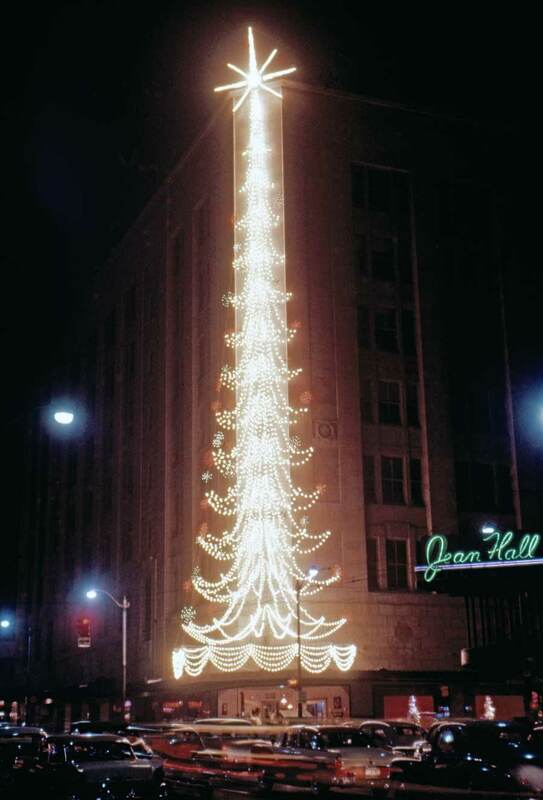 By Dec. 18, 1967, the date of the subject directly above, the full tree had given way to the star alone. 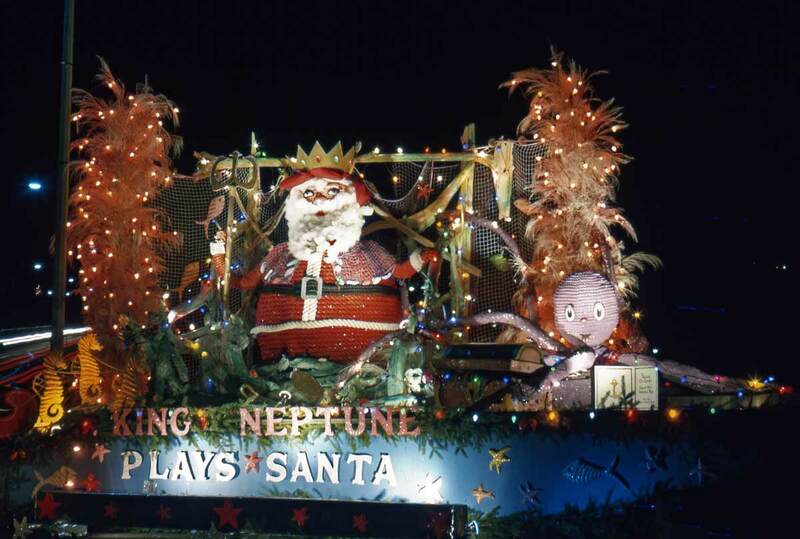 This more distant view also includes a peek into a Frederick and Nelson Window on the right, which may be compared to the interior F&N decorations included near the top.